In summer last year we launched our family of Lakes Liqueurs, and we were thrilled to see that you loved them as much as us. Since then, our excitement has been growing, as we explored new product concepts to enhance our collection. 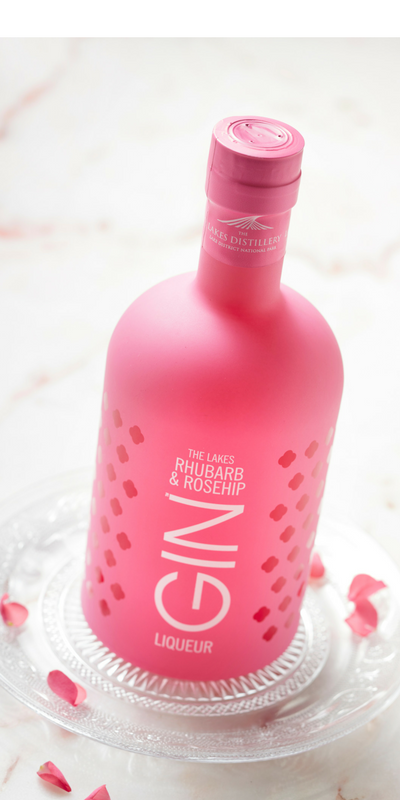 We’ve infused our classic Lakes Gin with tangy Rhubarb and Rosehip, to introduce another world class edition to our delicious artisan spirits portfolio… Meet, The Lakes Rhubarb and Rosehip Liqueur! The beautiful frosted bottle follows the design of the signature flavoured liqueurs. It’s soft pink base is adorned with vibrant pink quatrefoils; the very ethos of the Distillery – Faith, Hope, Luck and Love. Our brilliant new release is on pre-order now! Grab a 20cl or 70cl and enjoy a treat for the eyes and the taste buds.